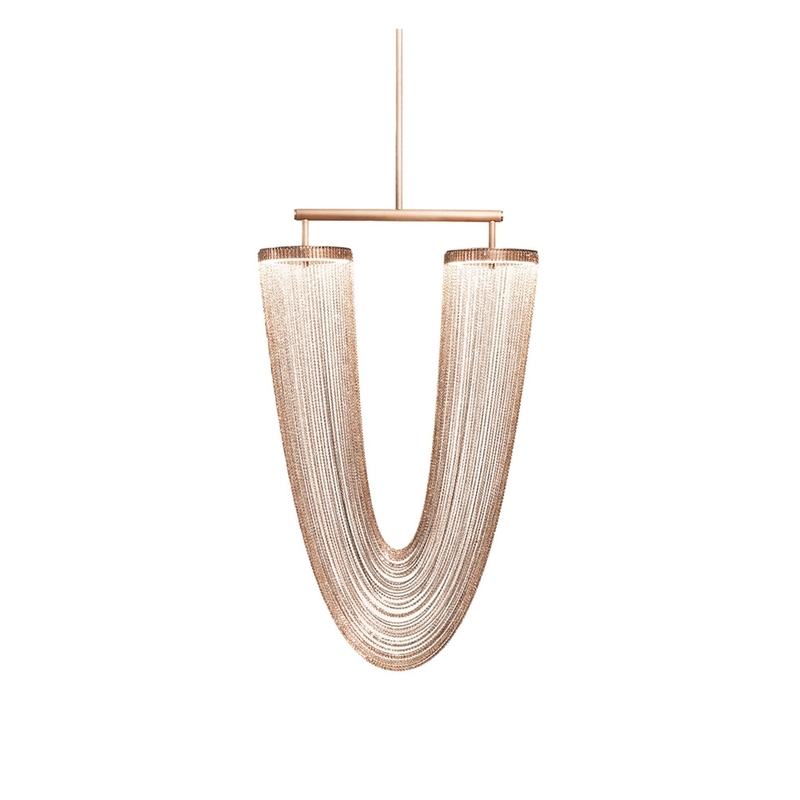 The brand new Otero pendant from CTO is an eye-catching and lyrical new design. A decadently dramatic centrepiece, the Otero is made from many copper chains which cascade from two discs, with the feel of a necklace. The chains diffuse the light with a glisten.